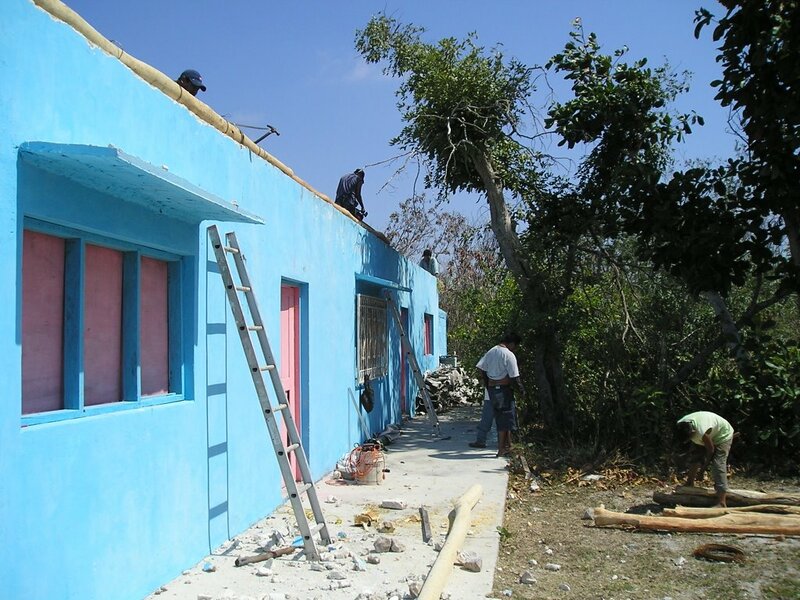 As of last week the construction on the roof began and it is moving along swiftly thanks to the oversight by our volunteer contractor, Roger, and a team of workers from the small town of Francisco Uh May (on the road to Coba). Like any construction project, we have run into a few hitches. 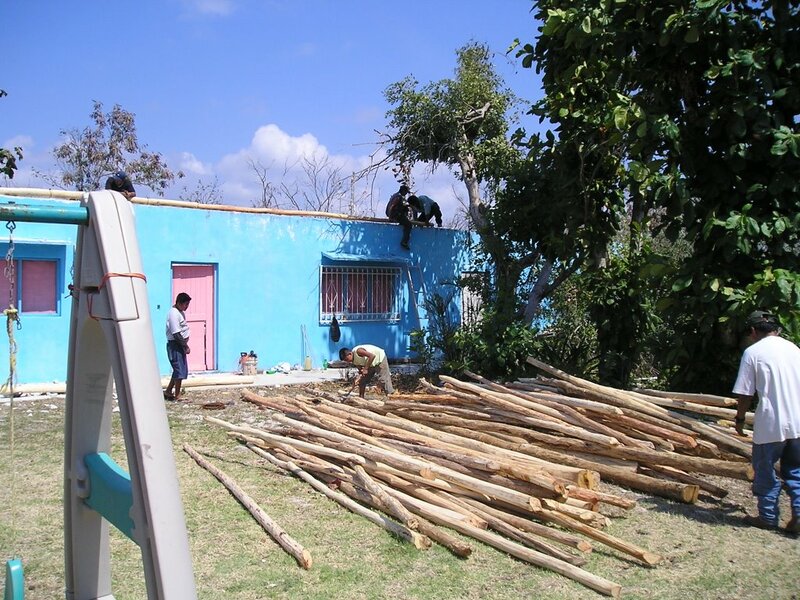 Mainly, we discovered just how fragile the base building is-- after many years and then the recent pounding by hurricanes Emily & Wilma-- as the wood base was being installed, we lost part of one wall!! We were distressed when it happened, but we should be able to repair it. Photos here are of the wood being put down as a base, to which the zinc roofing material is then attached by screws. For those wondering why we didn't put a cement roof: besides being at least 3 times as expensive, our experience with losing part of one wall just in the process of putting wood to reframe the structure proves that the base structure simply cannot bear the weight of a cement roof. So we are on our way...check back here for more updates.